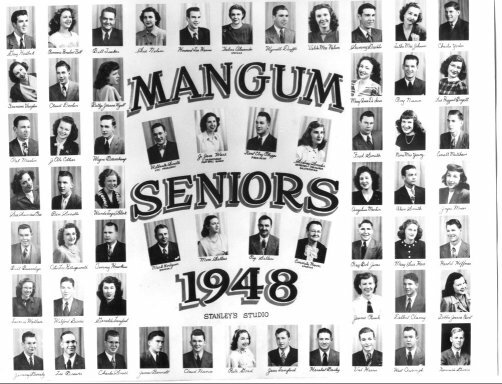 Welcome to the home page of the Senior Class of 1948, Mangum High School. Browse the site, and re-discover your past. Remember looping the loop, Friday night dances over the library, or having a snack at Avery's Moonlight Cafe? Well, we cannot bring back those locations, but we can help you remember your classmates. Browse around, and we hope that your memories will be pleasant.